Dhaka, 14 May, Abnews: Light to moderate rain or thundershowers accompanied by temporary gusty or squally wind and lightning flashes is likely to occur at many places across the country in next 24-hour till 9 am tomorrow. 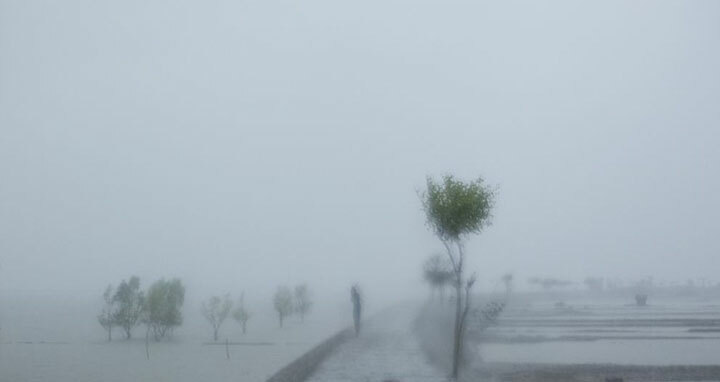 "Light to moderate rain or thunder showers accompanied by temporary gusty or squally wind and lightning flashes is likely to occur at many places over Dhaka, Khulna, Barishal, Chattogram and Sylhet divisions and at a few places over Rajshahi, Rangpur and Mymensingh divisions with moderately heavy to heavy falls and hails at places over the country 24 hours commencing 9 am today," said a met bulletin issued this morning here. Day temperature may fall slightly and night temperature may remain nearly unchanged over the country, it added. Seasonal low lies over South Bay while trough of westerly low lies over Gangetic West Bengal and adjoining area. The maximum temperature was recorded 35 degrees Celsius yesterday at Nikli in Dhaka division and today's minimum temperature 19.6 degrees Celsius at Tetulia in Rangpur division. The sun sets today at 6:33 pm and rises at 5:16 am tomorrow in the capital.